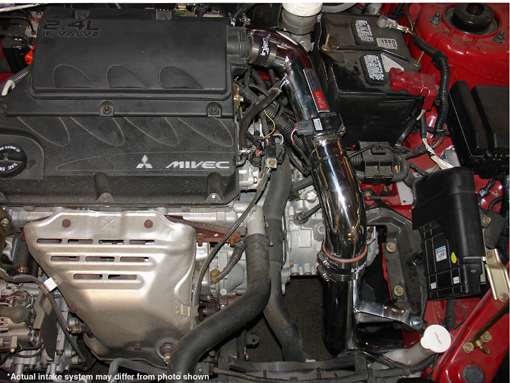 2006-2011 Mitsubishi Eclipse (2.4 4 Cyl Manual Trans Only) Injen Cold Air Intake5MikeJanuary 30, 2010Amazing product. Absolutely no problems when installing. However, installing was a little bit of a pain. The car now sounds amazing. The part number on this item is SP1870P (or SP1870BLK) and it fits 2006-2011 Mitsubishi Eclipse 2.4L 4 Cyl. (Manual) models.